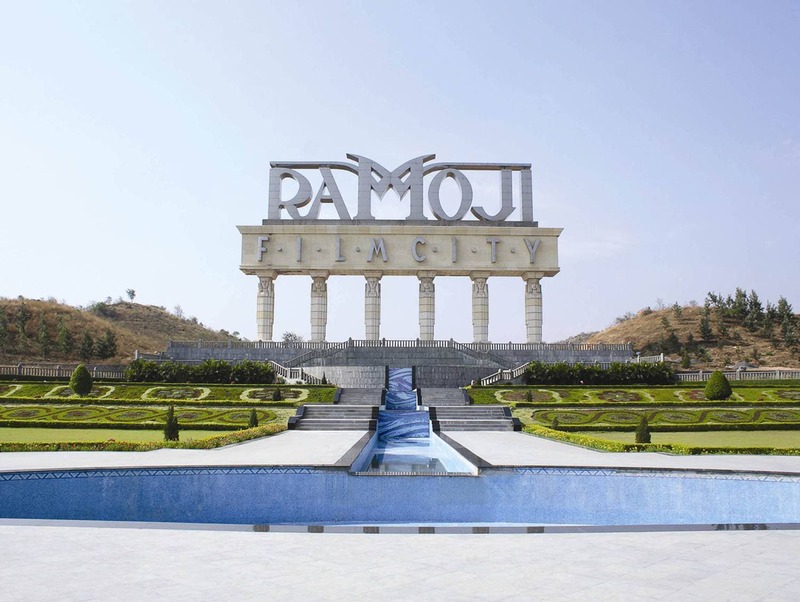 From Bollywood to Hollywood, Ramoji Film City is the place to live out one’s cine dream. This film and tourism destination in India is a getaway of fun with exciting facets of Indian tourism, it creates splendid experience for tourists, in a special engagement with cine magic. Spread over 2,000 acres at a distance of 30 km from the city of Hyderabad, the City encompasses rolling landscape, make-believe locales and cascading fountains besides offering thematic attractions and fantasy amusement zones. Ramoji Film City has also launched an adventure land named Sahas. Recognized by Guinness World Records as the world’s largest studio complex, Ramoji’s a team of international experts have designed and developed its facilities and attractions. Jyoti Bansal, Practising Company Secretary and Media Law expert, says that Ramoji contributes a lot to Indian tourism with as many as 1.5 million tourists reportedly visiting the city every year. “Tourism sector linked to the media plays a vital role in this. This place is good for international filmmakers especially from Hollywood who need everything at one place without any hassle,” says Bansal. 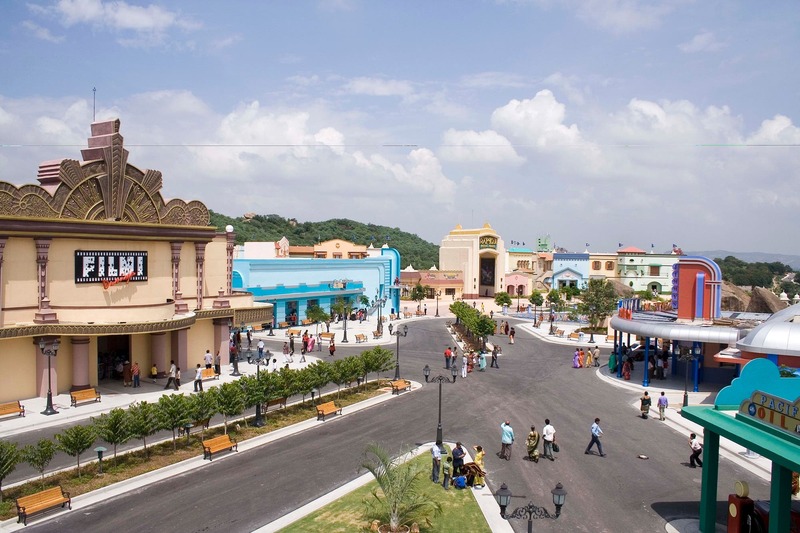 Ramoji has filmmaking infrastructure and services that enable simultaneous shooting of several films on any given day. Some of the Bollywood films shot here include Hrithik Roshan starrer Krish-3, Salman Khan’s Jai Ho, ShahRukh starrer Chennai Express, and Rajinikanth’s Robot. Ram Gopal Varma’s Mental, Amitabh Bachchan-starrer Sarkar Raj, Ajay Devgan’s Golmal & Himmatwala and Rajamouli’s multi-lingual magnum opus Bahubali are other successful movies that have been filmed here. Tourist arrivals witness upsurge during New Year celebrations, summer carnival, and festivals such as Diwali during which special arrangements are made at the city. The Carnival Parade with themed floats becomes the centre of attraction, along with the clowns, jugglers and stilt walkers. Have you ever heard about a cinema factory? Yes indeed, it exists right here in Ramoji. Its own in-house cinema factory creates sets and props as per the need of a film, in the process providing employment to hundreds of people. Usually, after the completion of a movie the in-house team destroys all the material produced so that no one else uses them. Safeguarding originality is considered important here. Artists working here have the skills to turn your imagination into reality. Mega-movie called Bahubali is the perfect example of this process. Pavan Kumar, who is manager of Publicity Department at Ramoji, says Ramoji is the place every celebrity loves. “Especially Salman Khan, Bollywood superstar is the biggest fan of Ramoji’s food. Here you can feel the luxury at very affordable prices”, says Kumar. Ramoji also offers zones meant for theme-based interactive entertainment. Some of its important attractions are Eureka – the colossal edifice modelled on the lines of royal medieval forts, which welcomes guests with dance-and-song ceremonies. There are also children’s play courts, thematic restaurants, merchandize and memorabilia stores and theme bazaars at Eureka. Apart from the medieval Meena Bazaar, the experience here shifts back and forth in time with the Mughals, Mauryas and rugged charms of the American Wild West. 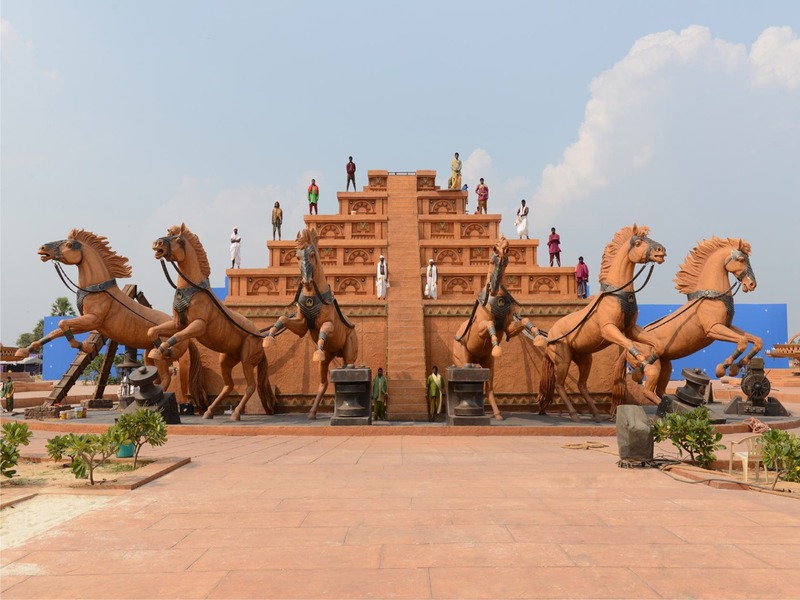 Ramoji Movie Magic has been conceived to bring in the uniqueness of film and fantasy. At Action, tourists are introduced to the intricacies of filmmaking and special effects, editing and dubbing while Ramoji Space Yatra offers simulated experience of travel into space. Prof. Ujjwal K Chowdhury, Head at the School of Media at Pearl Academy, says a large number of films have been shaped from concept to editing here. “Bahubali part 1 and 2 was the icing on the cake as undoubtedly it was the largest grosser among Indian feature films,” says Chowdhury. According to him, a large number of regional movies have been filmed here. “As far as limitations are concerned, use of modern technologies like Augmented Reality, Virtual Reality and Special Effects for science fiction films need to be taken care,” he says. Author and media academician Vineeta Asthana says Ramoji Film City has excellent facilities as well as green landscapes. “Beauty about the place is that is it no longer just a film studio; it is a destination for holiday, themed weddings and education hub as well,” says Asthana.